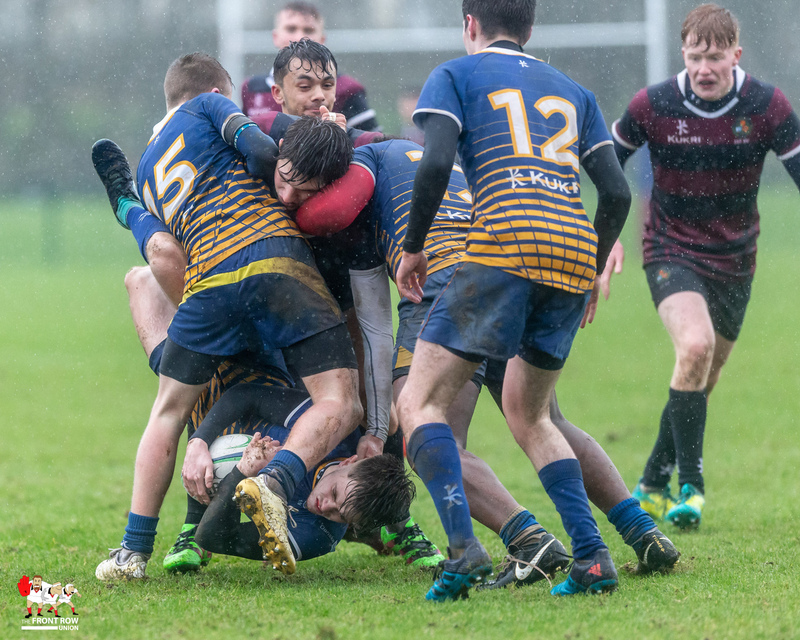 Saturday 26th January 2019. 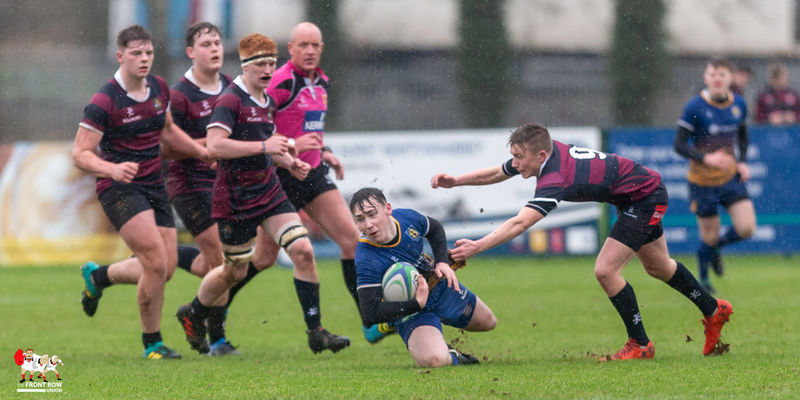 Belfast Royal Academy see off a spirited Belfast High School 17 3 to progress to the fourth round of the Ulster Schools Cup. 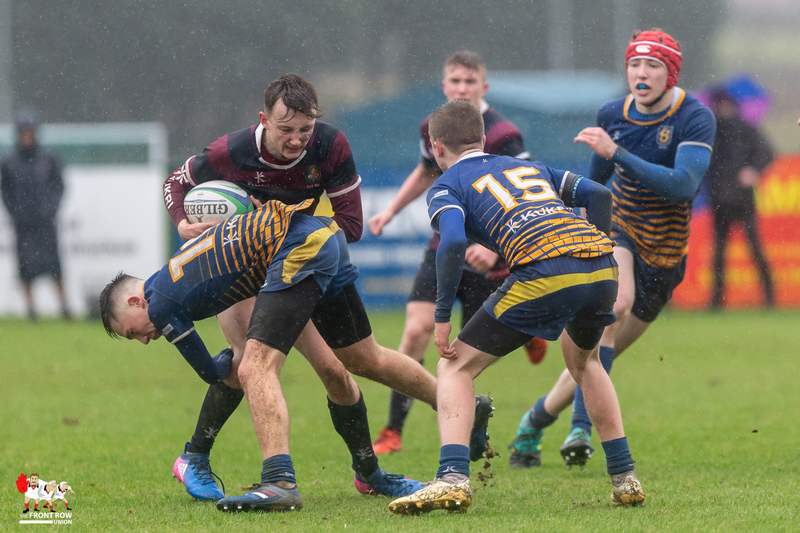 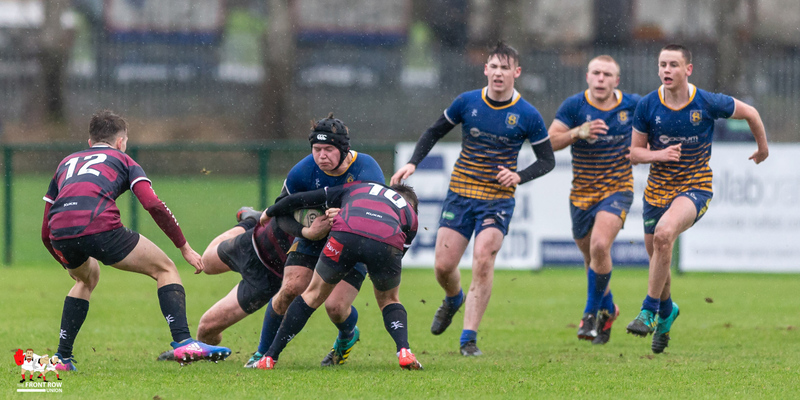 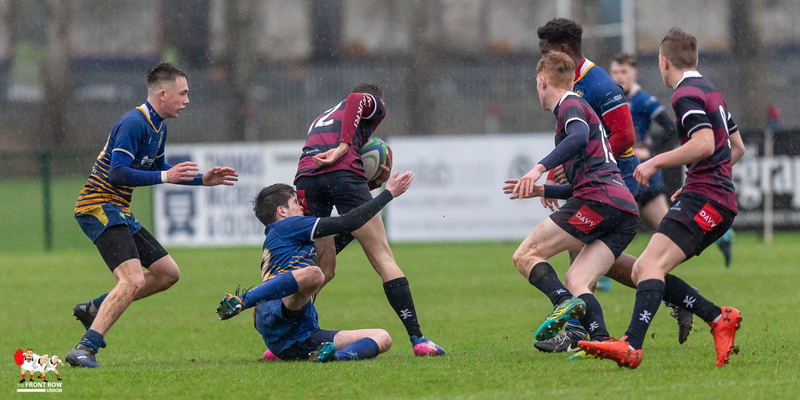 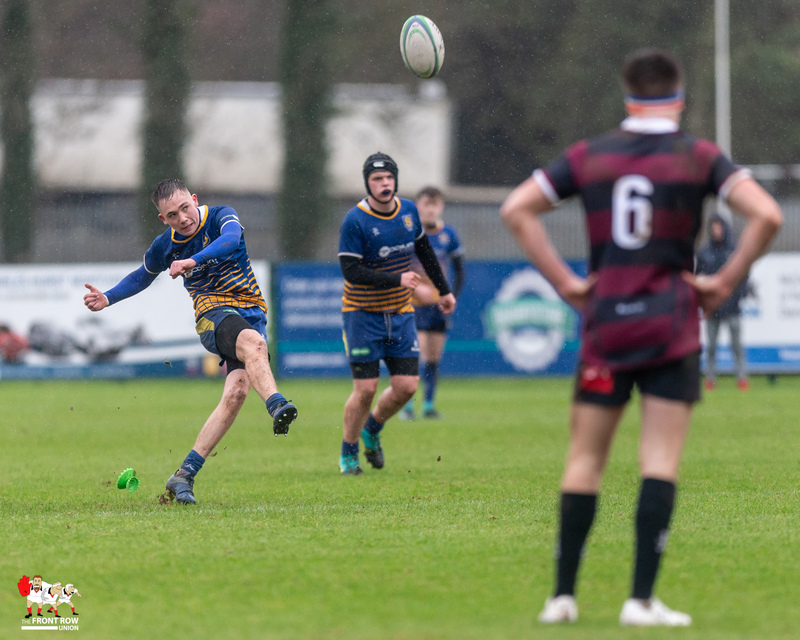 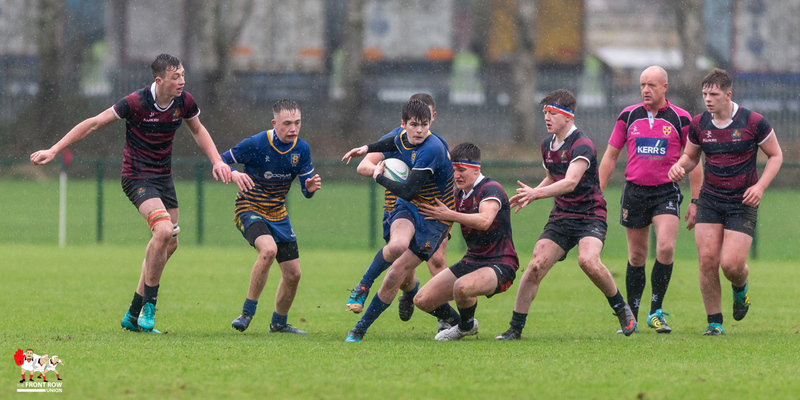 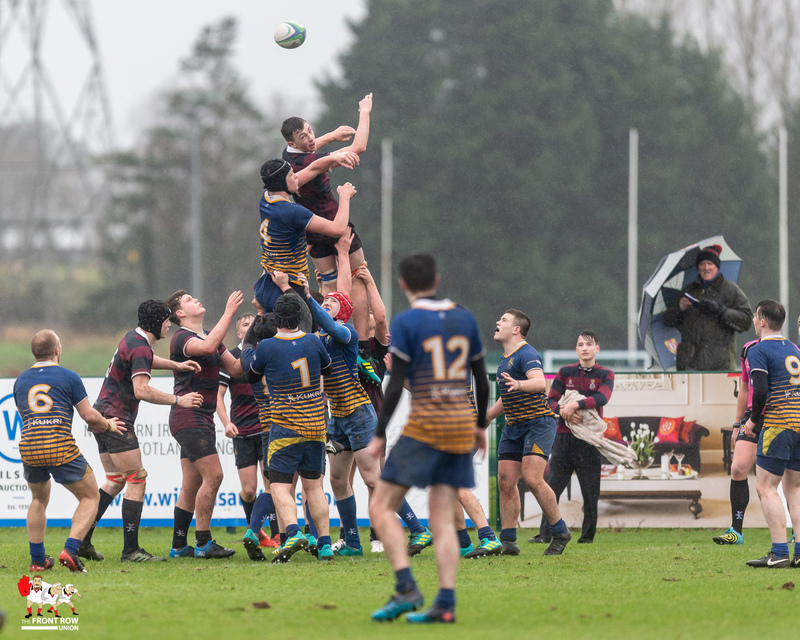 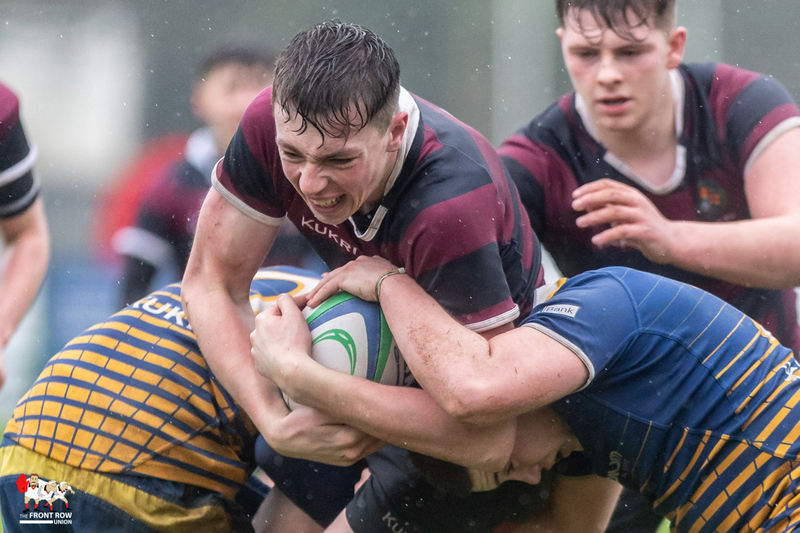 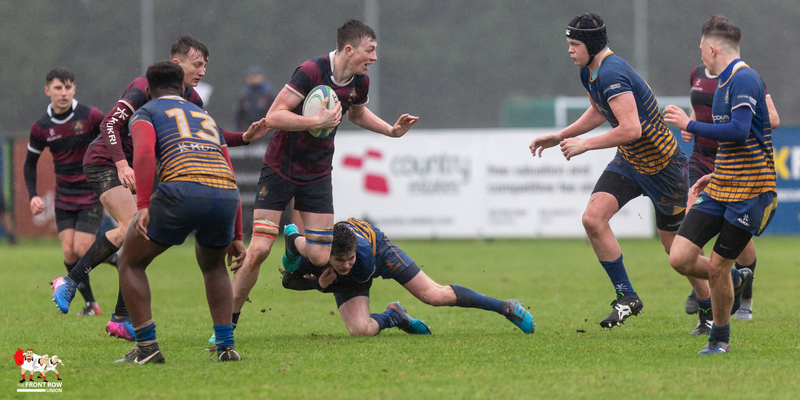 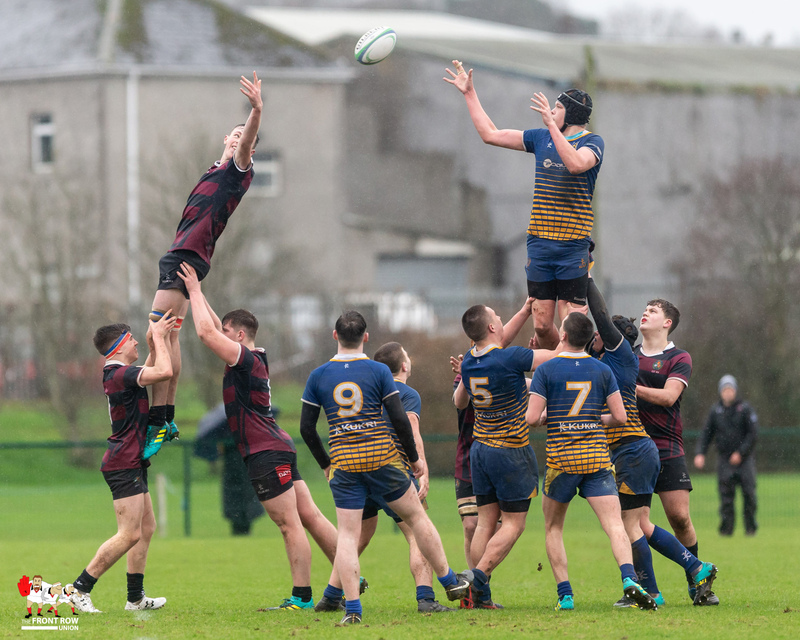 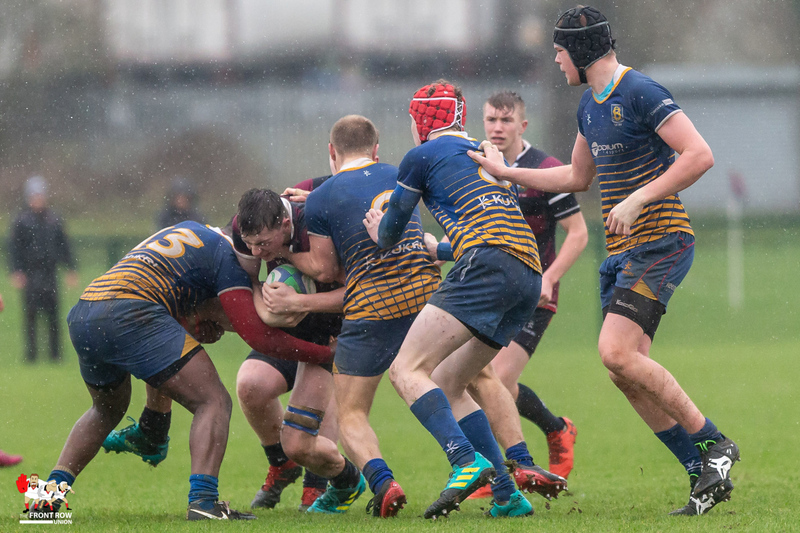 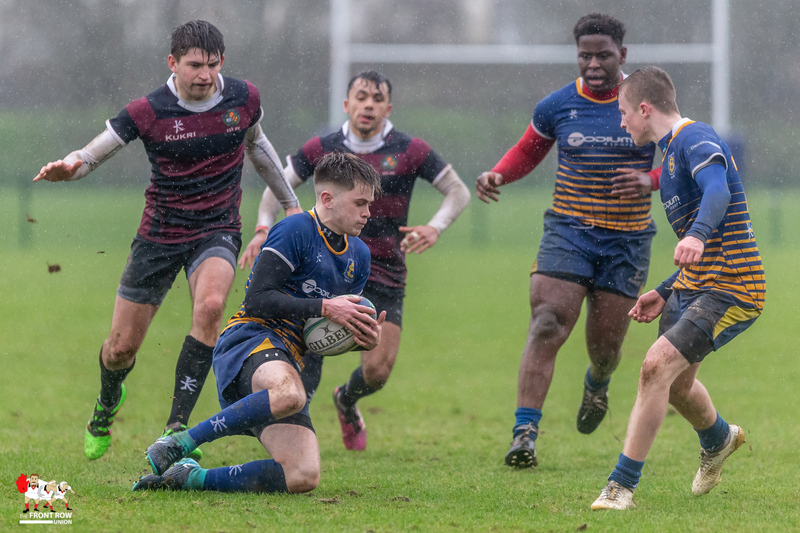 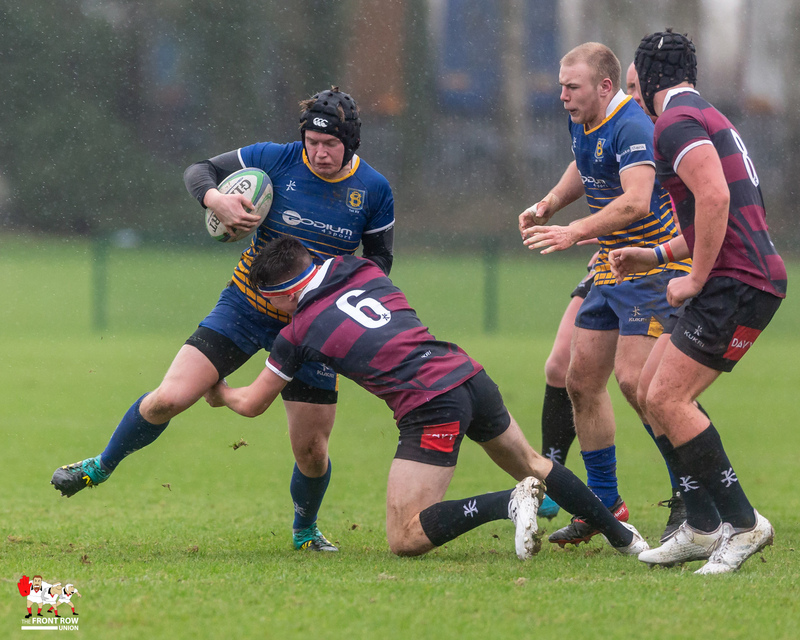 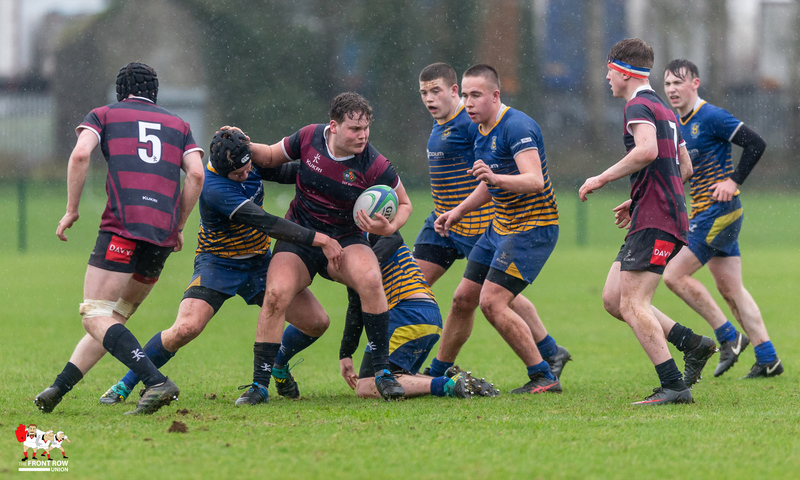 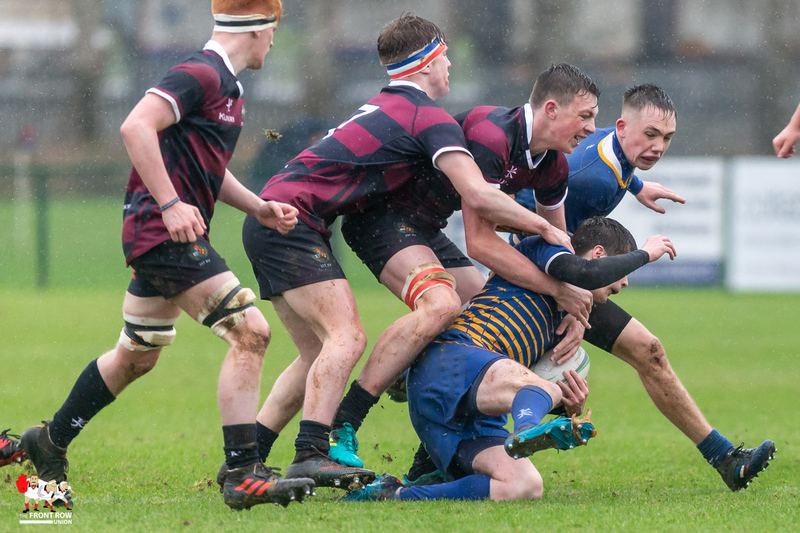 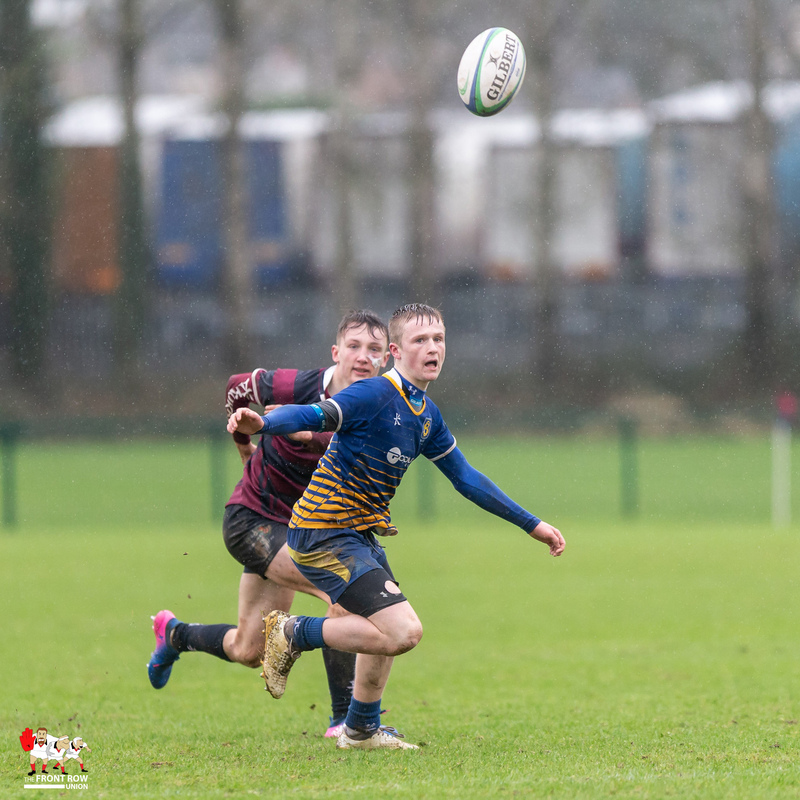 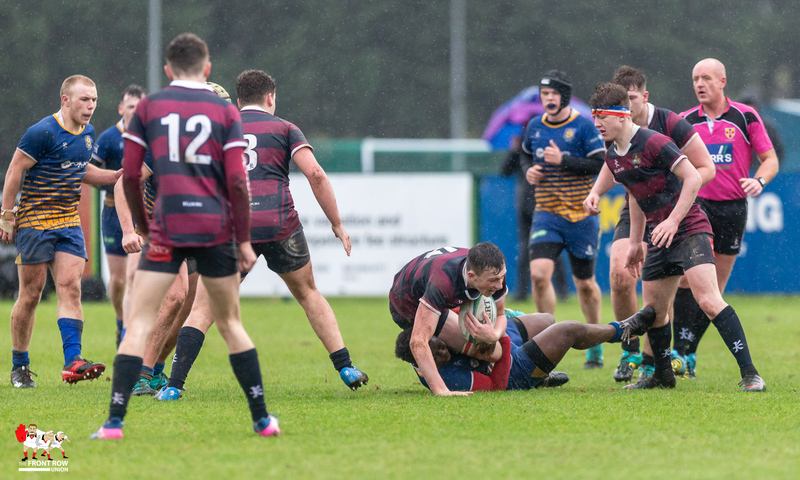 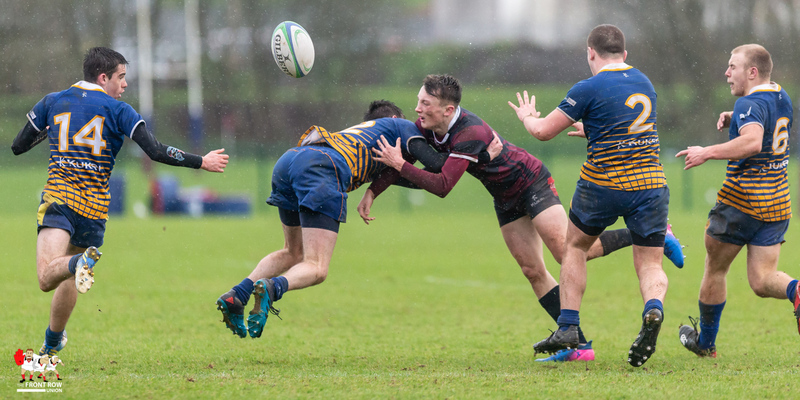 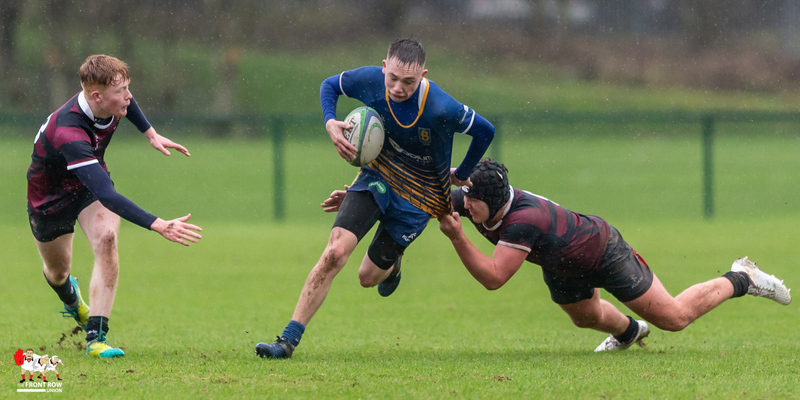 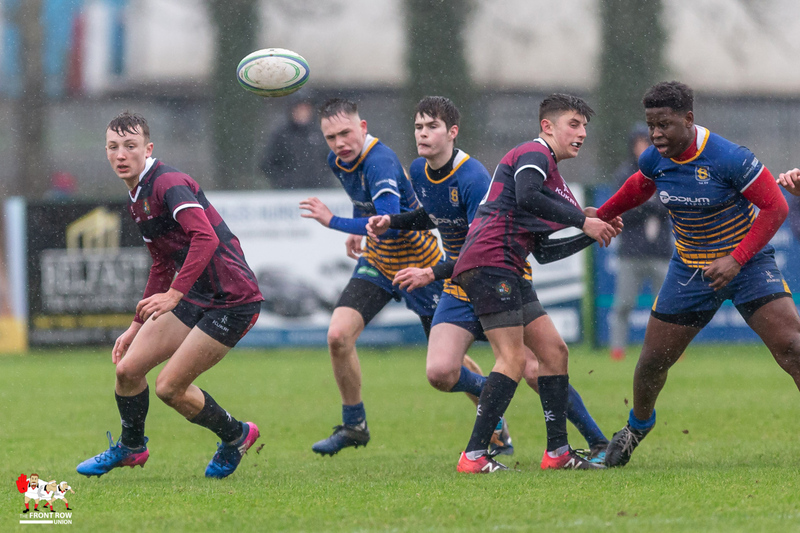 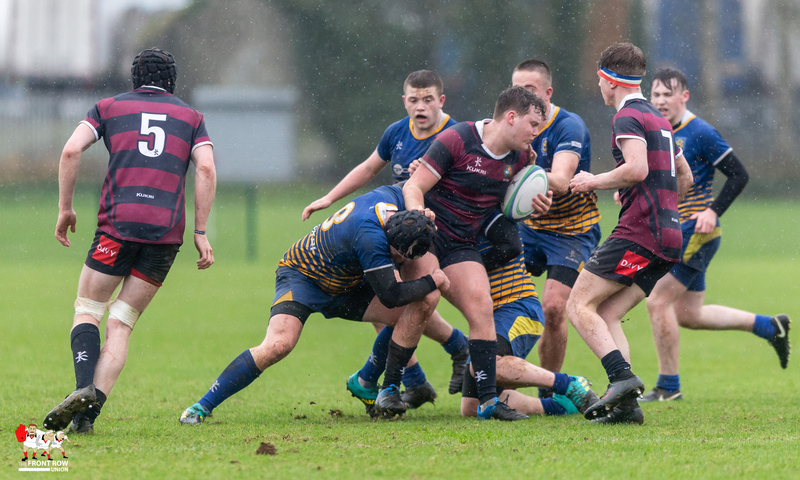 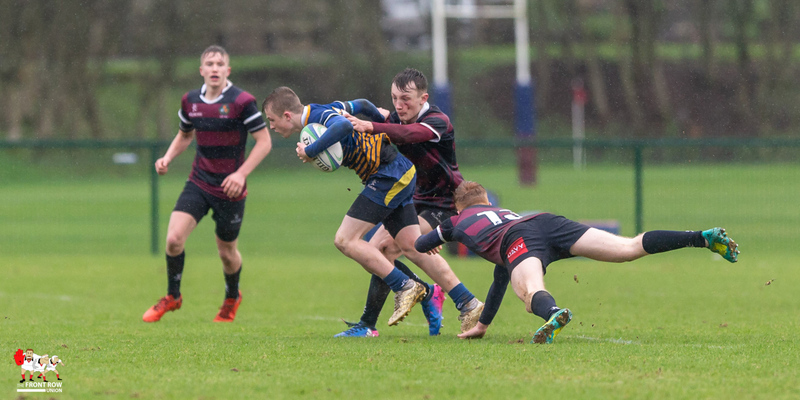 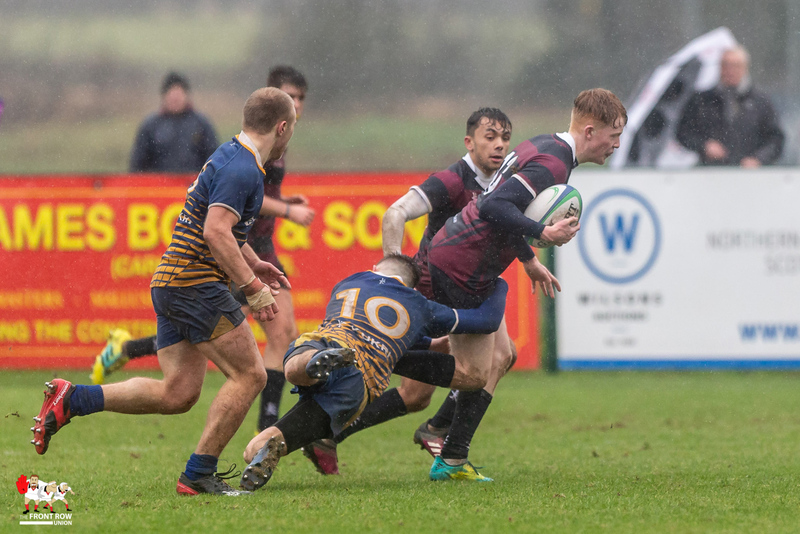 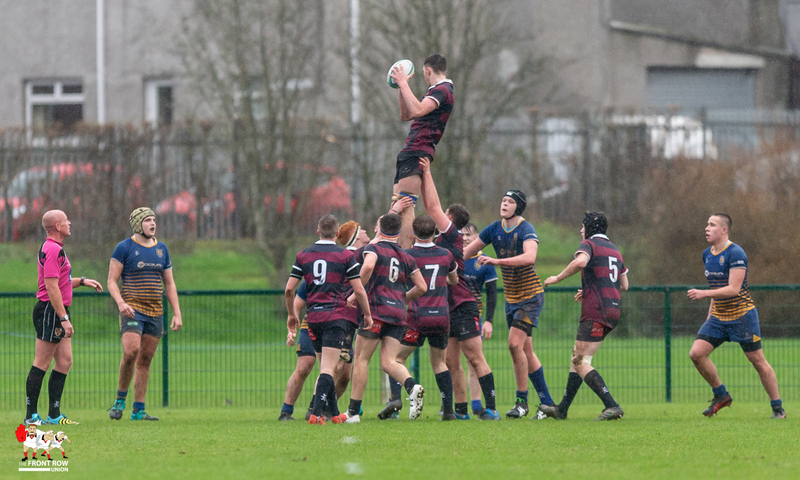 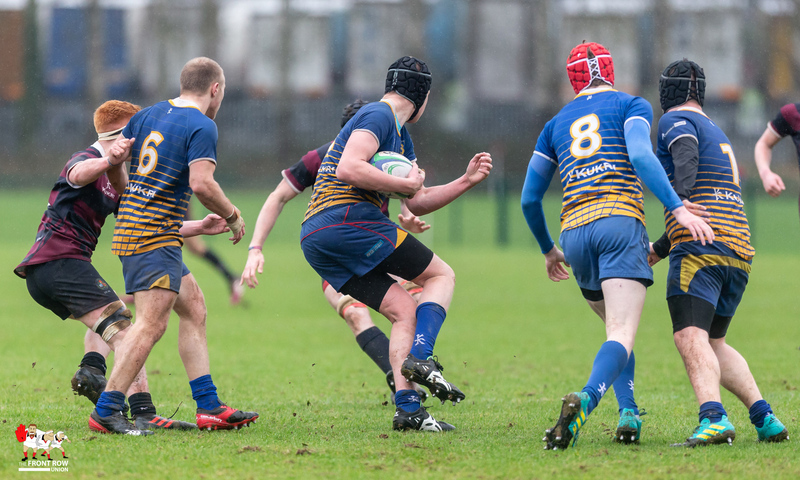 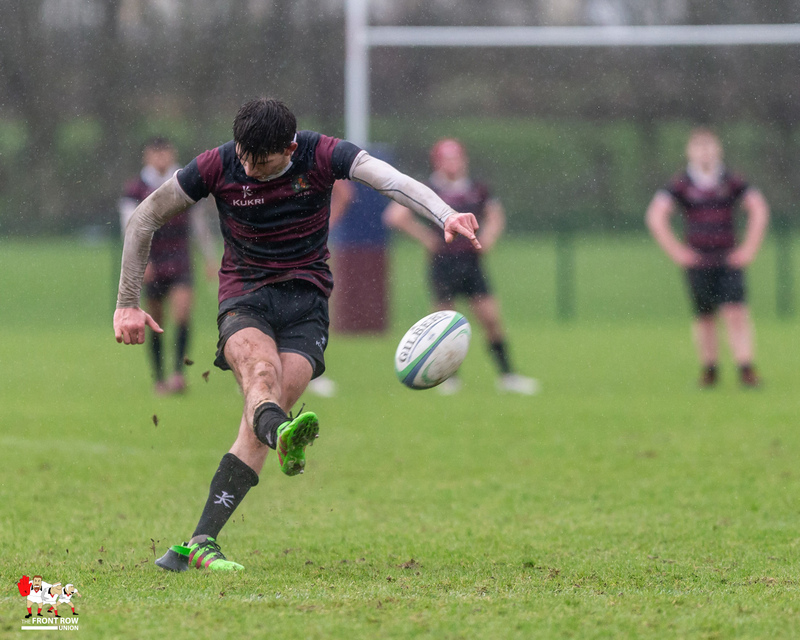 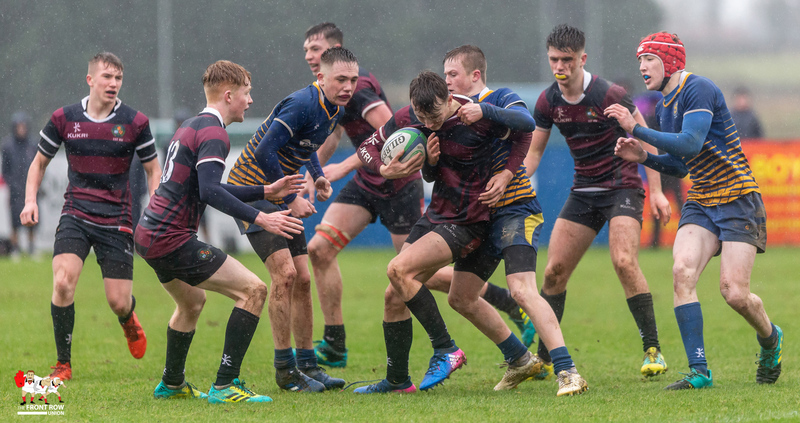 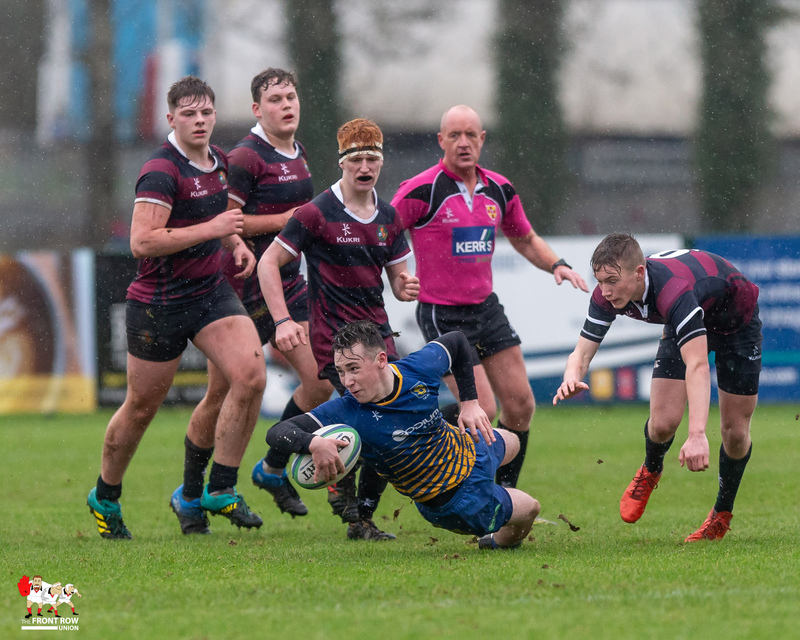 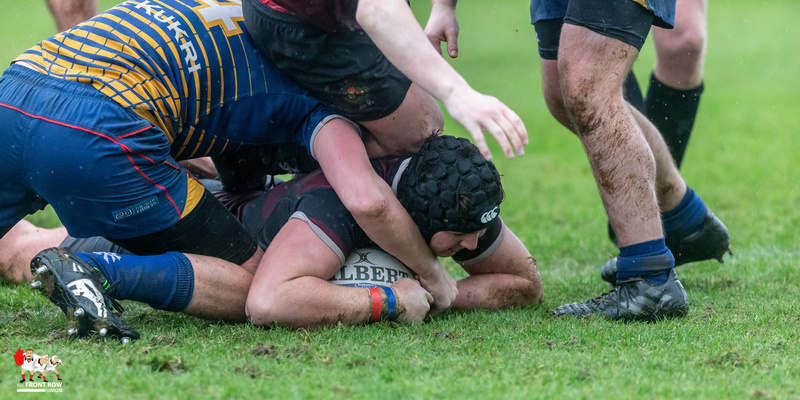 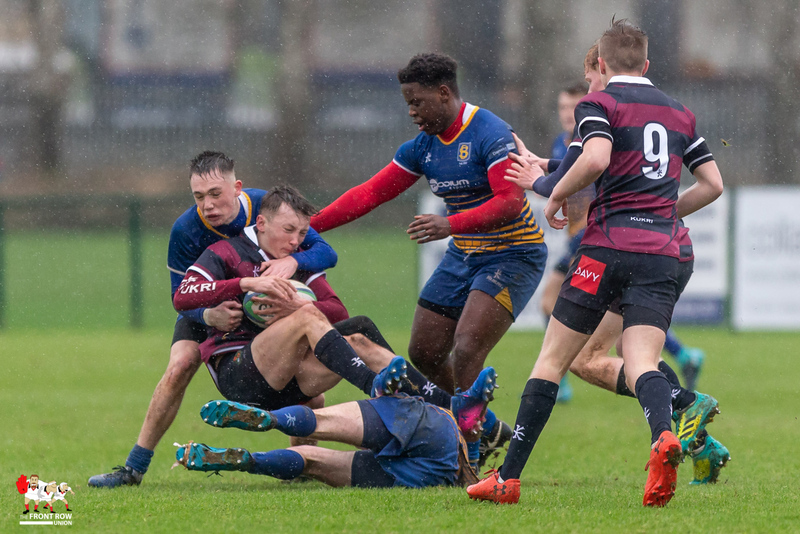 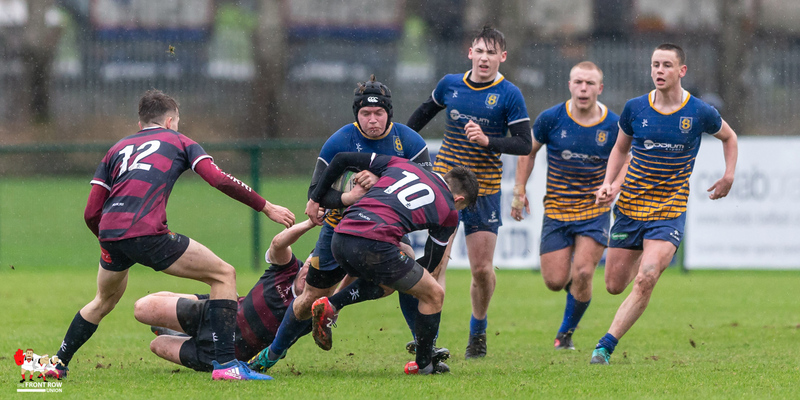 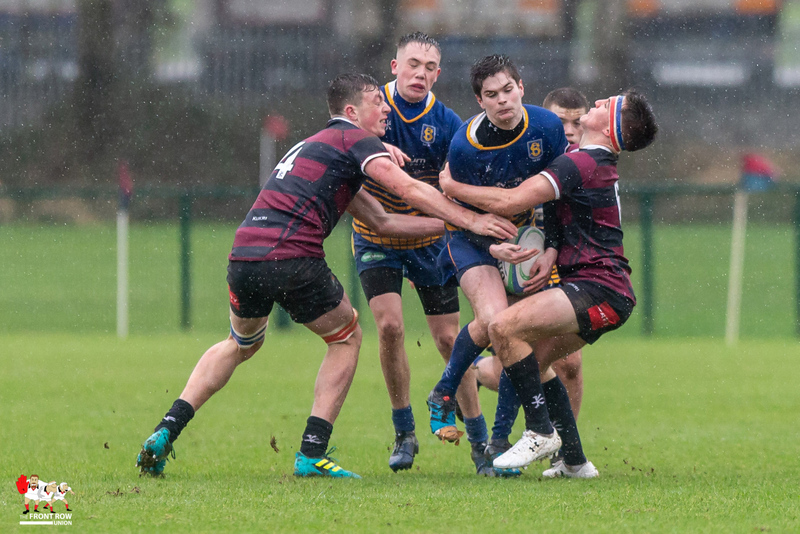 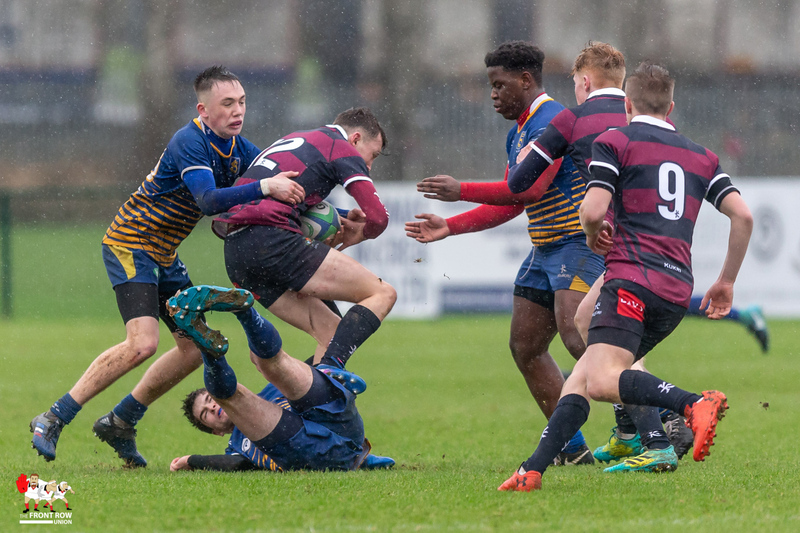 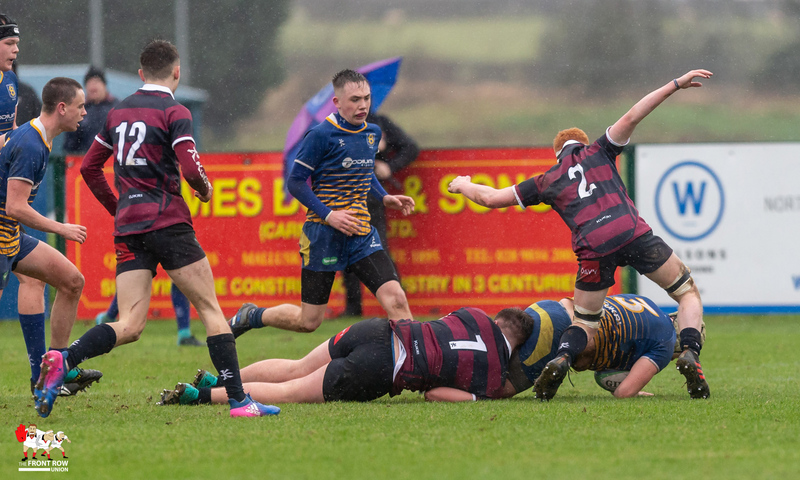 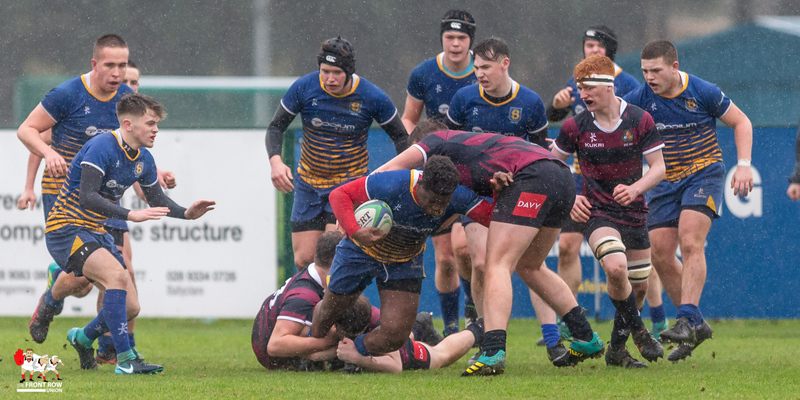 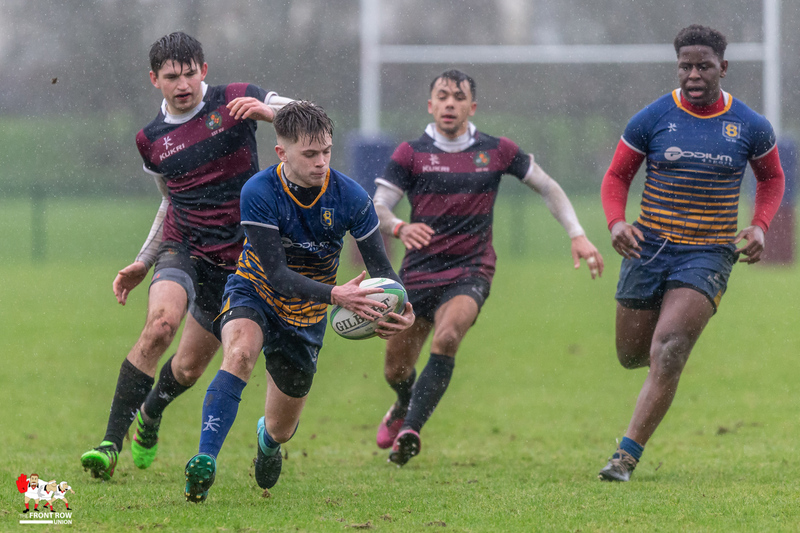 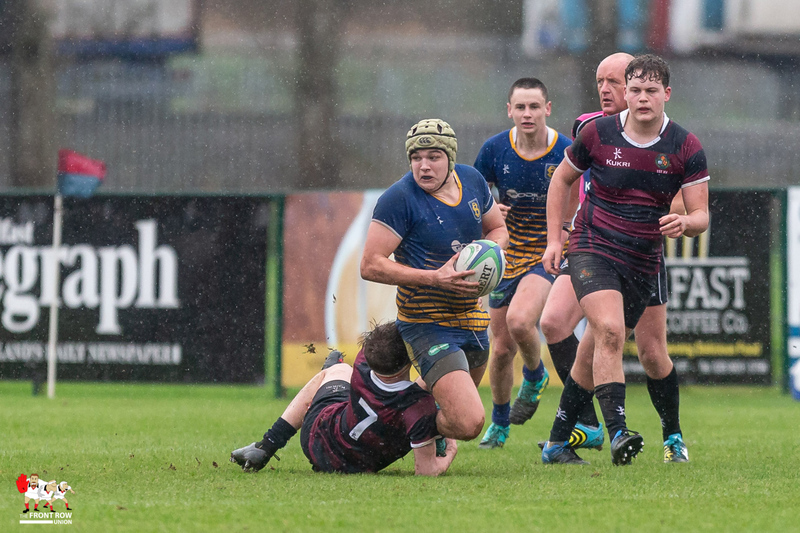 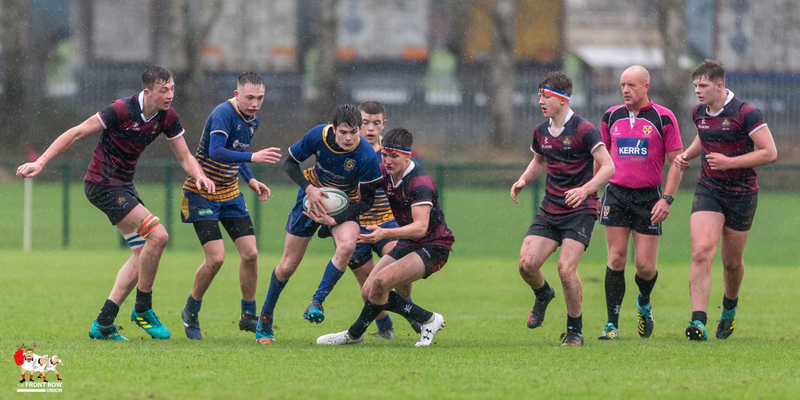 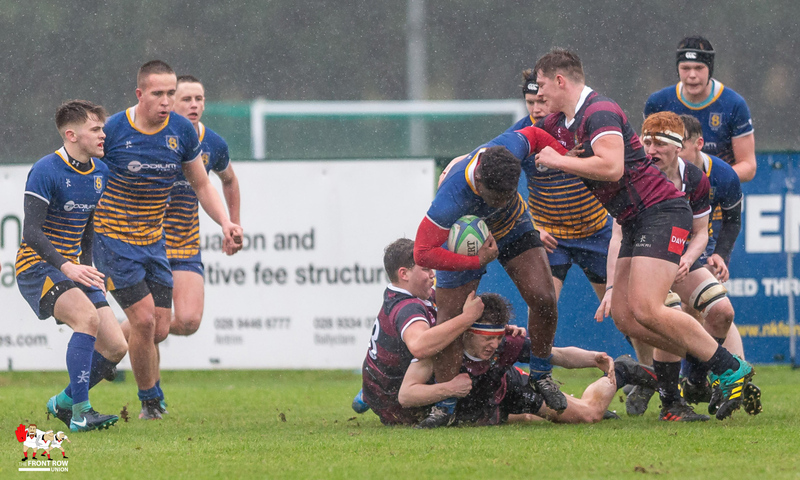 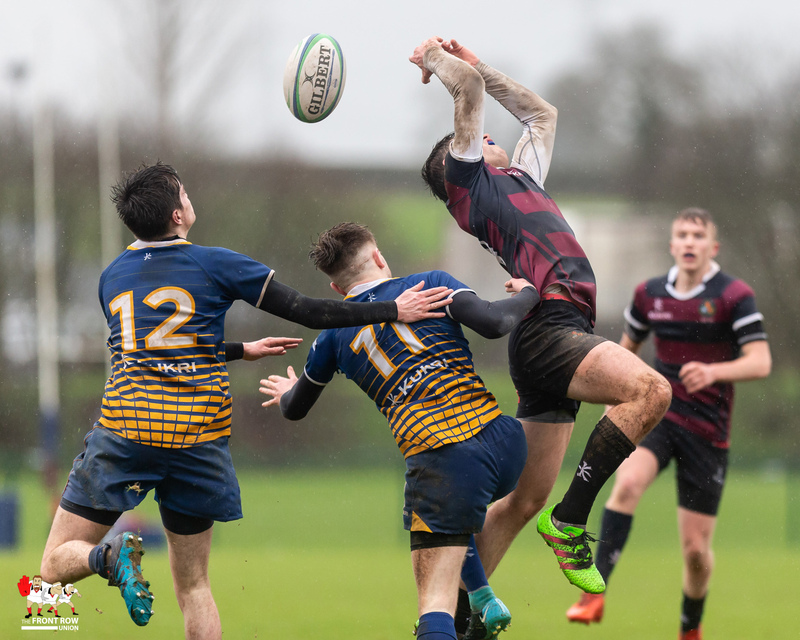 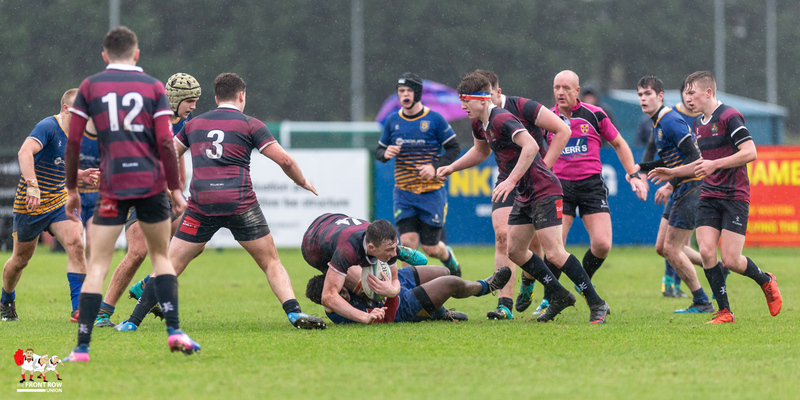 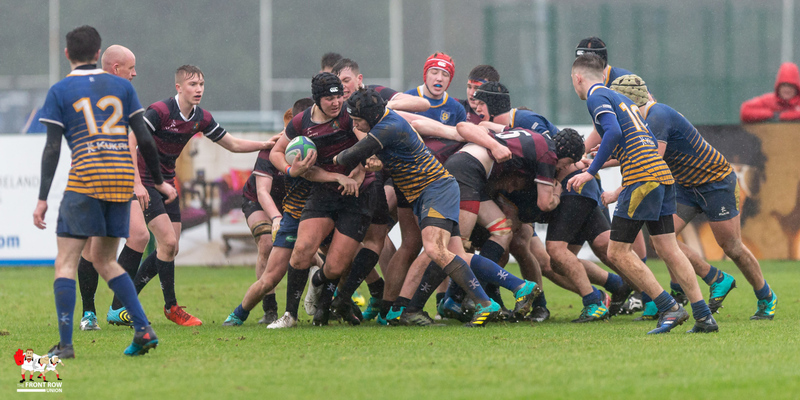 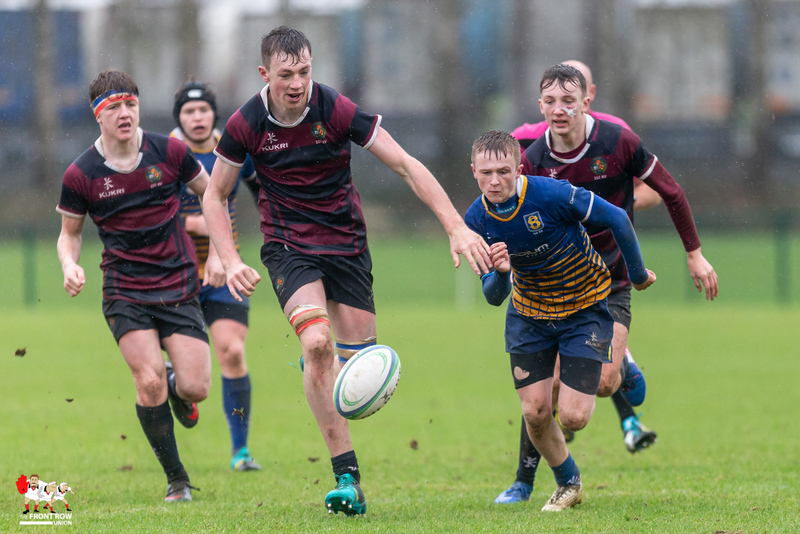 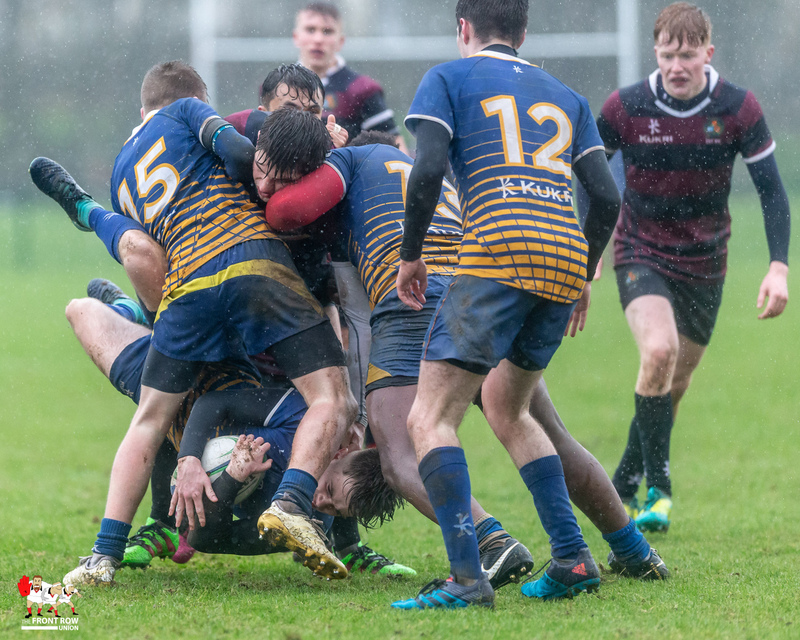 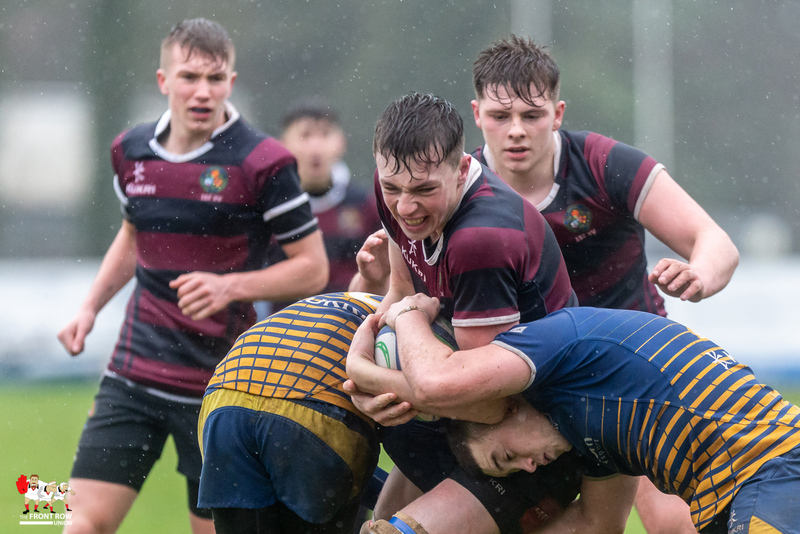 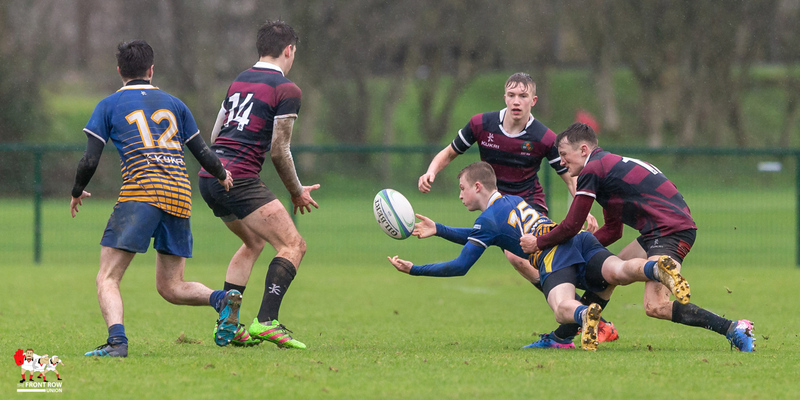 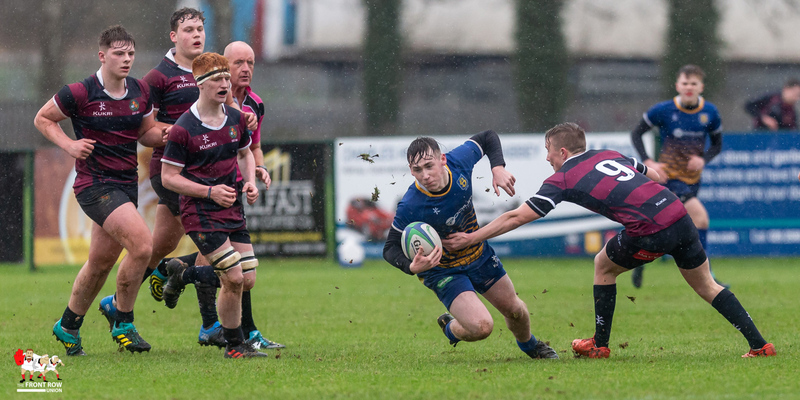 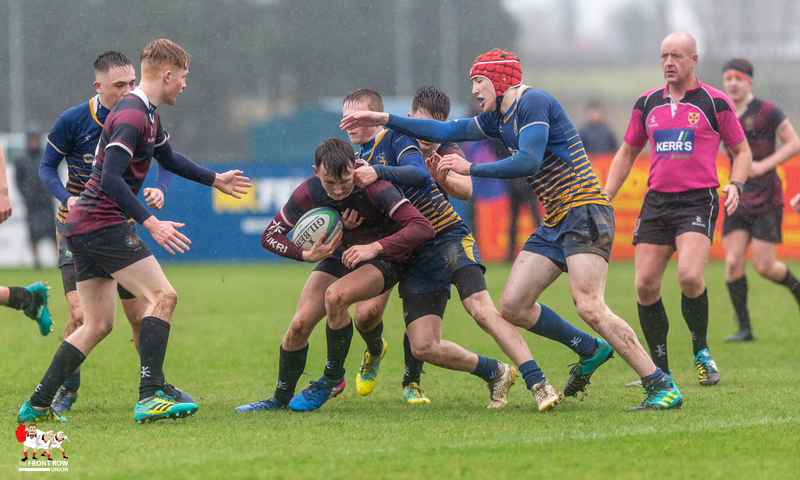 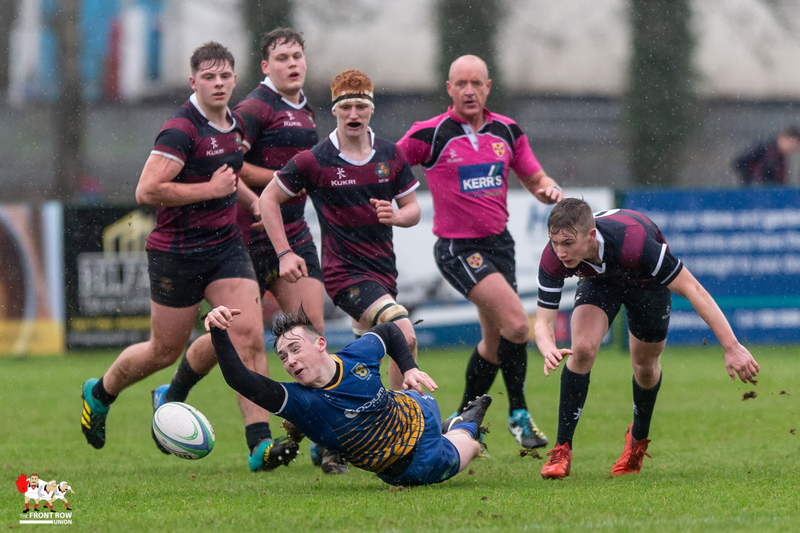 Saturday’s 3rd Round Schools Cup Tie between Belfast Royal Academy and near neighbours, Belfast High School, was dominated by the wind and rain that only Roughfort can provide. 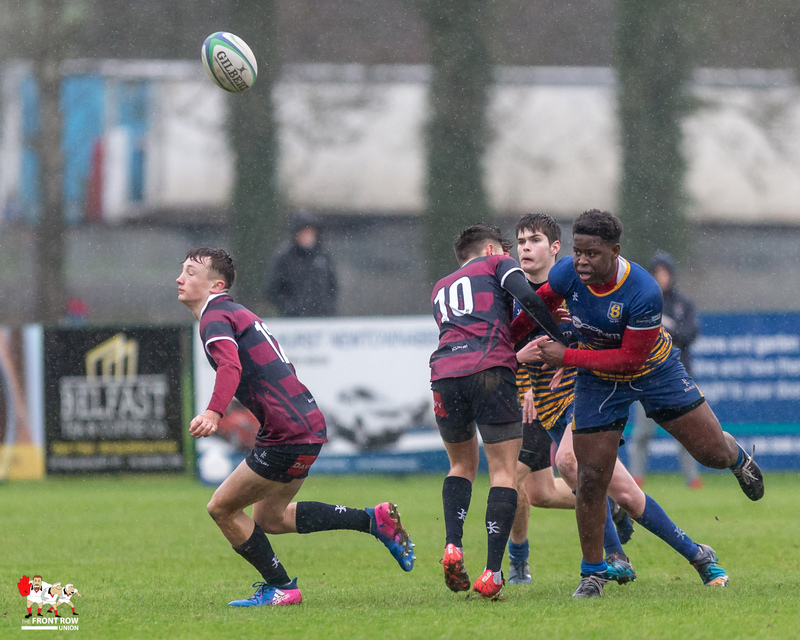 BRA kicked off into the driving rain and within 2 minutes had taken the lead when Rory Linden scored, following a sweeping move by forwards and backs. 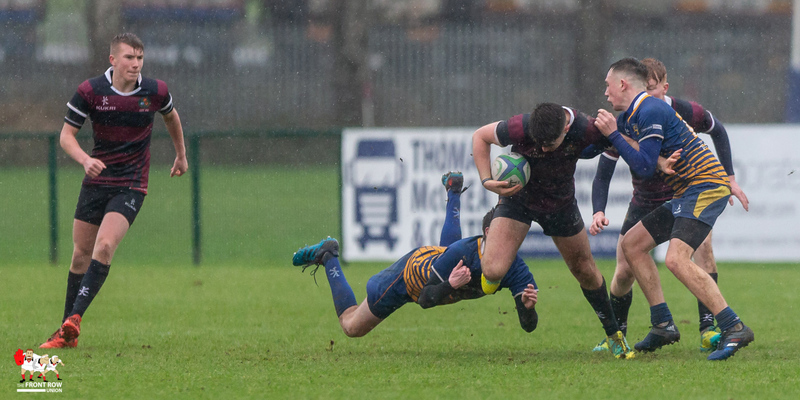 Daniel Logan converted from in front of the posts to give BRA a 7 – 0 lead. 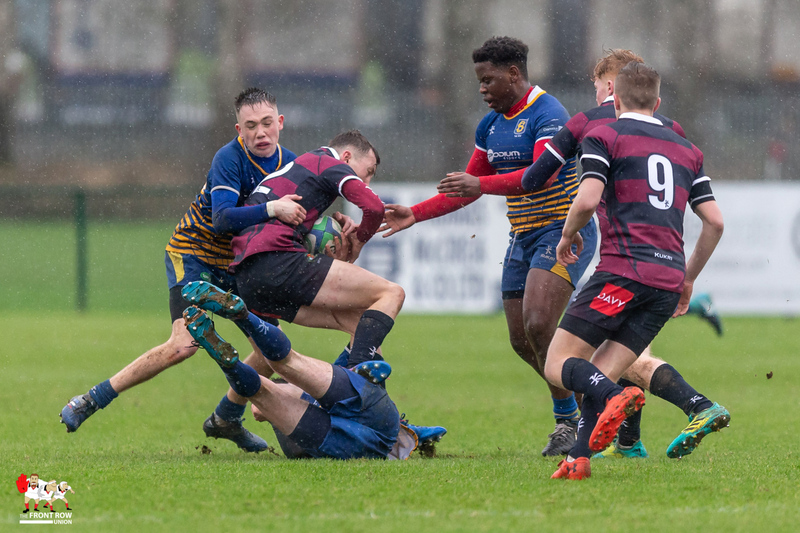 Thereafter defences cancelled out attacks and stalemate ensued until Belfast High cut the deficit with a penalty goal from Aaron Douglas. 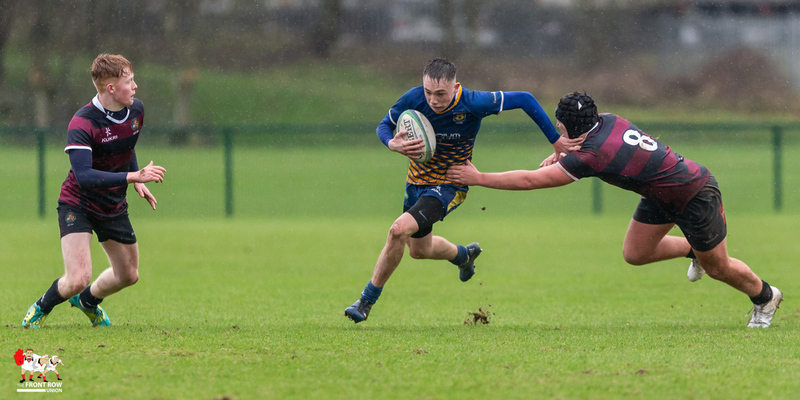 In the final move of the 1st half Adam Keed drove over from close range to give BRA a 12 -3 half time lead. 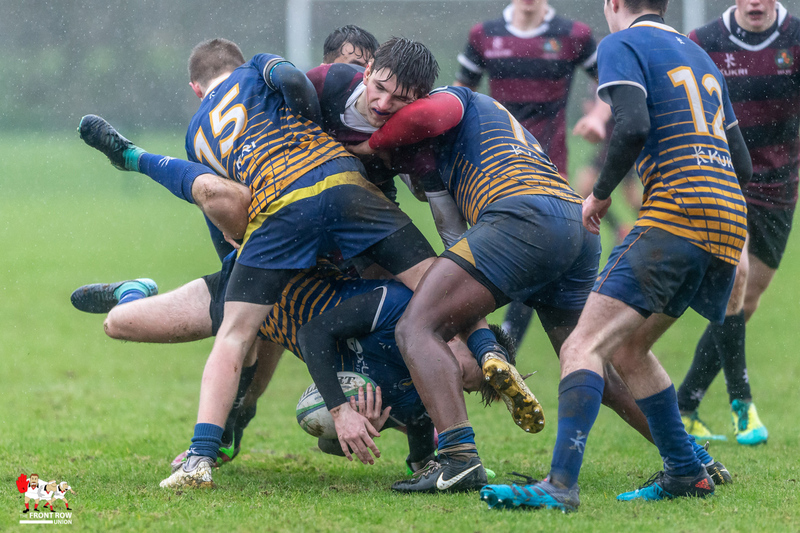 In the second half BRA couldn’t take advantage of the elements and waves of attacks were repulsed by a resolute BHS defence. 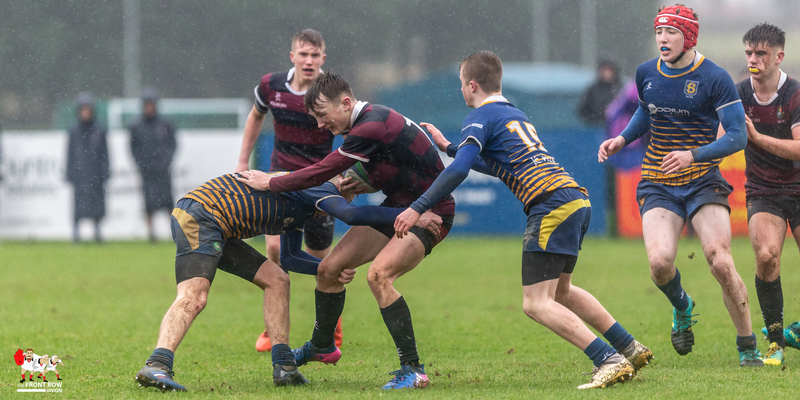 In the final move of the game Tom Stewart scored from close range to give BRA a 17 – 3 victory and looking forward to the 4th Round Draw on Monday.